Another day, another tweak. CallBar XS brings a slick call bar to all devices running iOS 12 and above. 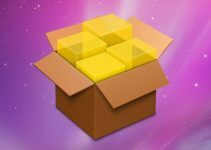 Here’s how you can download and add it to your iPhone. A lot of iPhone users, especially those who jailbreak, want a minimalistic call UI on the latest operating system version. That is where this new tweak comes in. CallBar XS adds a stunning non-obtrusive call bar, which replaces the stock call interface, to iPhone. It is developed by ace tweak developer Elias Limneos. 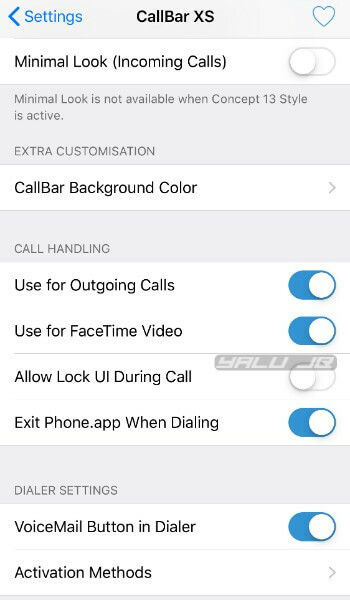 Just like its predecessors, CallBar XS is chock full of features and functions. It comes loaded with a lot of different user interface options and UI styles. The XS contains a lot of different appearances and styles. 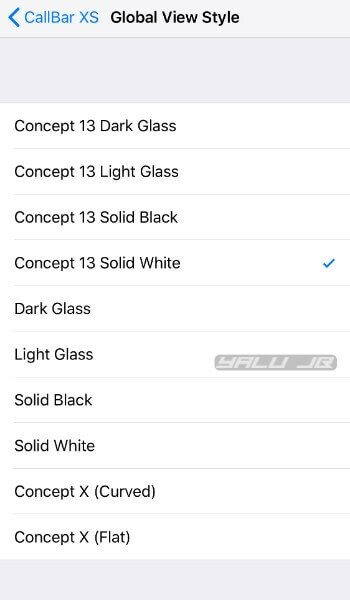 The all-new “Concept 13” lineup realizes the modern flat design call bar concept for the iOS operating system. Here’s how this tweak looks like in action with the “Concept 13” style enabled. This tweak also comes with a comprehensive preferences section. 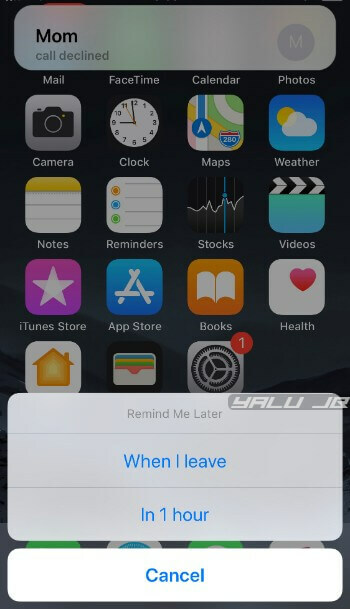 Here’s a list of the best settings and options to use that will help you get the most out of this tweak. Enabled (on) – Enables the tweak. Global View Style (Concept 13 Light Glass) – Sets the global view style for the call bar user interface. Although there are plenty of options in this section, you should go with any of the flat “Concept 13” options. Use at LockScreen (on) – Enables the bar on the lock screen. 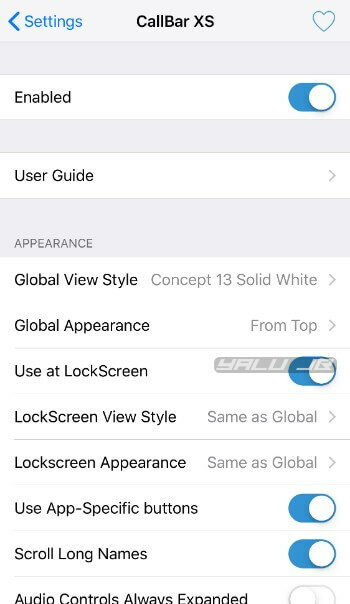 LockScreen View Style (Same as Global) – Sets the view style for the lock screen. You can manually choose another view style for your lock screen if you want it to be different than the one used globally. 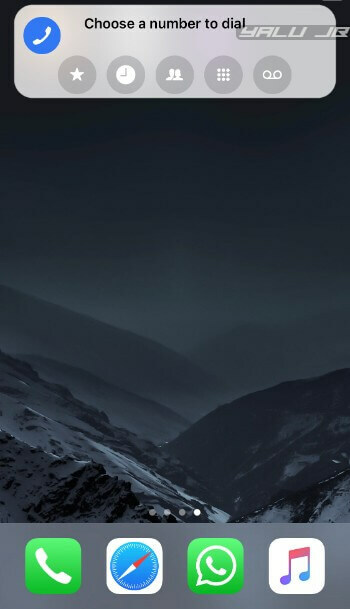 LockScreen Appearance (Same as Global) – Sets the appearance for the lock screen. Again, you must select any of the given options provided you want a different appearance than the one used globally. Use App-Specific buttons – Enables app-specific buttons. Scroll Long Names (on) – Makes long names visible to the user by using the swipe gesture. Audio Controls Always Expanded (off) – Expands the audio controls by default. It is recommended that you disable this option as it makes the bar look a bit more bloated and obtrusive as compared to the original concept. If you keep this option disabled, you can access audio controls simply by tapping the audio button. Minimal Look (Incoming Calls) (off) – Enables minimal look for incoming calls. The minimal look is not available when you select the “Concept 13” look. 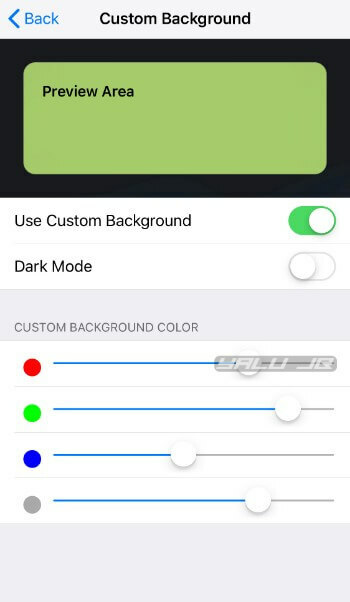 Caller Background Color – Lets you set a custom caller background color. Use Custom Background (off) – Sets a custom background color for the calling interface. You can set custom colors using the color sliders present at the bottom of the screen to add a unique touch to the UI. Dark Mode (off) – Enables dark mode for the bar UI. Use for Outgoing Calls (on) – Enables tweak functionality for outgoing calls. Use for FaceTime Video (on) – Enables tweak functionality for FaceTime video calls. Allow Lock UI During Call (off) – Enables lock user interface during calls. This interface is displayed when you pick up a call while your device is in the locked state. Exit Phone.app When Dialing (on) – Exits the stock phone application and switches to the tweak’s interface while dialing. VoiceMail Button in Dialer (on) – Enables the voicemail button in Dialer. Activation Methods (Swipe left, Swipe Right, Double Tap) – Sets the activation methods for the minimalistic dialer interface. You can select any of the following options: Swipe Left on Status Bar, Swipe Right on Status Bar, and Double Tap on Status Bar. Vibrate on Answer (Outgoing) (on) – Enables the vibrate on answer feature for outgoing calls. Vibrate on Answer (Incoming) (on) – Enables the vibrate on answer feature for incoming calls. 3D Touch Expands Native UI (on) – Expands the native user interface on 3D Touch. According to Limneos, the XS update also adds a revamped gesture and action system. Here’s how you can use its various gestures on your iPhone. Swipe left on CallBar XS to dismiss (or down for Concept X style). Tap on CallBar XS for more options (when available). Swiping left/right and double tapping on the status bar invokes the dialer interface. Force Touch/Long Press to bring up the native dialing user interface. Ideally, this option should be used only if you want to return to the stock app. Elias Limneos’ projects truly are the gold standard of jailbreak tweaks. If you have an iPhone that’s running iOS 12 or above, this tweak is a must-have. Highly recommended. As far as compatibility goes, all iPhone smartphones below iPhone XS, XS Max and XR are compatible as of right now. 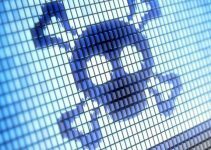 The latest lineup of smartphones will become compatible once Pwn20wnd releases an update for the unc0ver jailbreak for A12 devices. Remember, the XS version is compatible only with iOS 12. If you have an iOS 11 device, you would want to install CallBar X tweak, which is more polished and stable than the current version. 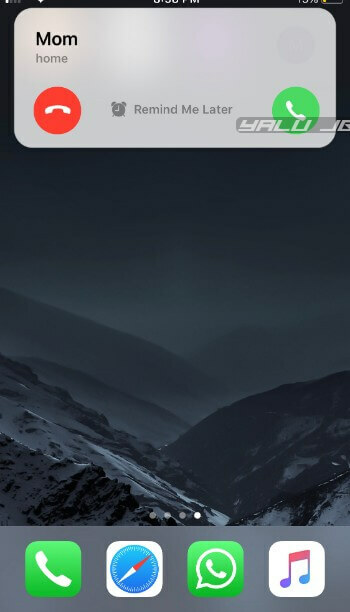 CallBar XS is available for download on http://limneos.net/repo/ for $3.99. It is compatible with iOS 12. If you previously purchased a license for CallBar X, you will be eligible for a 50% discount. CallBar, in spite of all its advantages, does have a few bugs. The developer has already fixed a lot since its release and continues to release minor updates aimed at patching bugs. The call interface disappears after pressing the home button during a FaceTime call. Dock seldom disappears when using the swipe gesture to dismiss the call. Some users report that this tweak prevents you from using Face ID to unlock your device. 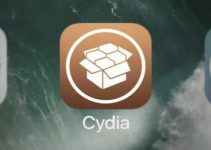 For more tweak releases and updates, give us a like on Twitter and Facebook. Outstanding tweak, yet I cannot access the rear camera when utilizing facetime(if I want to show my caller something). Does anyone else that issue and if so , is there a fix? Yes, there are plenty of issues in this tweak like the one you mentioned above. I would recommend reporting it to the developer on Twitter.